The conference will take place in the main building of ETH Zürich. ETH Zürich (from its German name Eidgenössische Technische Hochschule Zürich, ETHZ) is the Swiss Federal Institute of Technology in Zürich, Switzerland. It is located in the center of the city, close to the main station. ETH is considered to be one of Europe's premier universities in the fields of Chemistry, Physics, Electrical Engineering, and Computer Science. 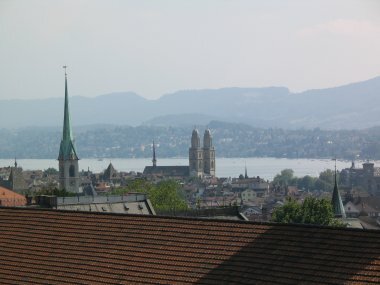 Zürich is the is the largest city in Switzerland (population 376,815 in 2007) and capital of the canton of Zürich (population 1,283,300 in 2006). The city is Switzerland's main commercial centre, and home to the country's largest airport. Auditorium Maximum in the main building (building HG for Hauptgebäude) of ETH Zurich. Street address: Rämistrasse 101, Zürich. Directions from Zurich main station: take tram number 6 or 10 to "ETH/Universitätspital" stop (also served by tram 9 from Paradeplatz); or walk across the river to "Central" and take the "Polybahn" cable car to the entrance on Leonhardstrasse.